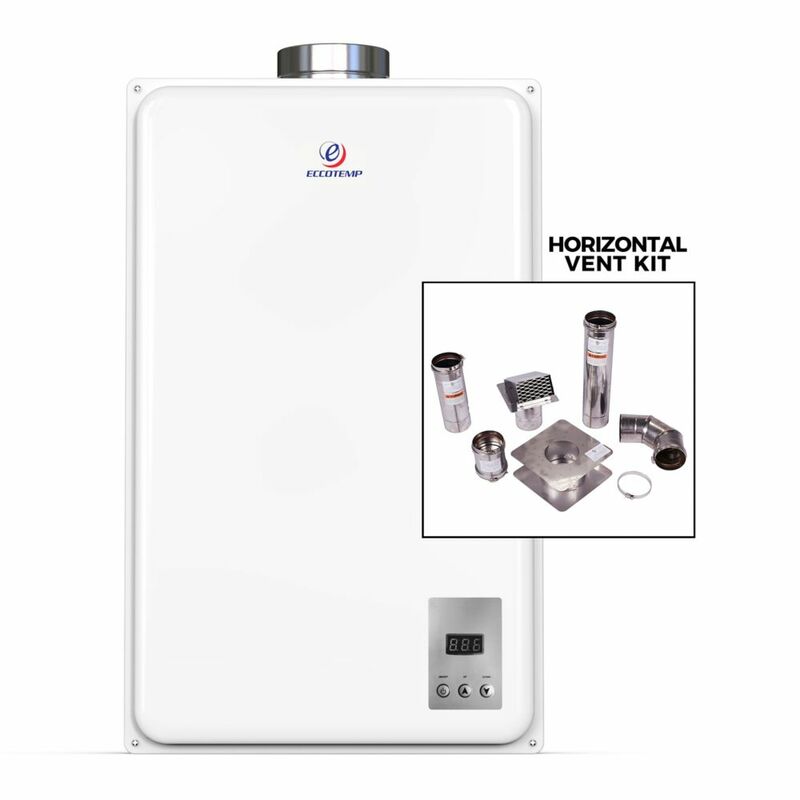 Eccotemp 45HI-NG Indoor Natural Gas Tankless Water Heater (w/ 4" Horizontal Vent Kit) The Eccotemp 45HI-NG is the largest indoor model of the Eccotemp tankless line. Rated at impressive 6.8 GPM and 140,000 BTU per hour, the 45HI-NG can meet all the hot-water needs of a standard home or apartment with one or two bathrooms, as well as smaller commercial applications. The compact, wall mounted 45HI-NG is powered by natural gas and is also split system adaptable, which can further increase efficiency and hot water delivery speed. With its fully automated control system, the Eccotemp 45HI-NG is the ideal choice for any standard sized home. Eccotemp 45HI-NG Indoor Natural Gas Tankless Water Heater (w/ 4" Horizontal Vent Kit) is rated 5.0 out of 5 by 1. Rated 5 out of 5 by Tory from Easy install and great performance so far. Love it. Easy install and great performance so far. Love it. The Eccotemp 45HI tankless water heater can provide unlimited hot water as long as there is enough gas supply.